Plastic Sea Barriers are floating breakwater systems that disrupt, absorb, and cancel the energy and laminar flow of turbulent waves. The protruding & interlocking design allows a porous face to have the waves attenuated instead of being redirected to cause damage to other areas. 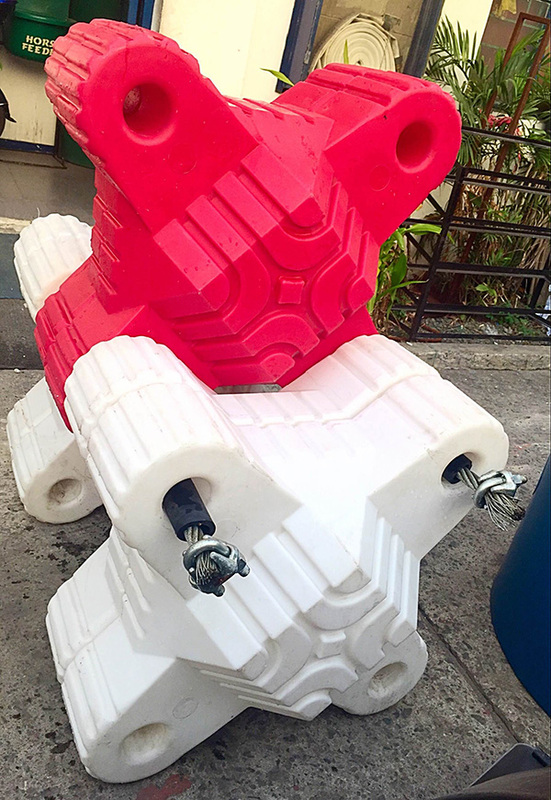 These sea barriers are used to mitigate storm energy damage to the shore, eliminate boat wake and wind driven waves to protect mariculture areas or marinas along coastal communities. Made from virgin, U.V. 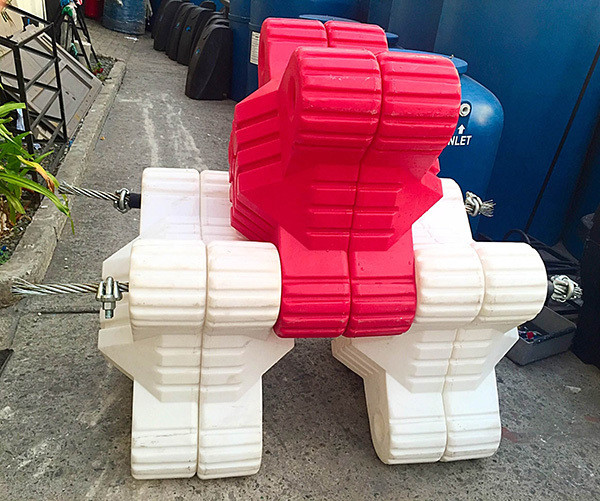 stabilized polyethylene (PE), these barriers are now locally manufactured by Inca’s rotational molding technology. 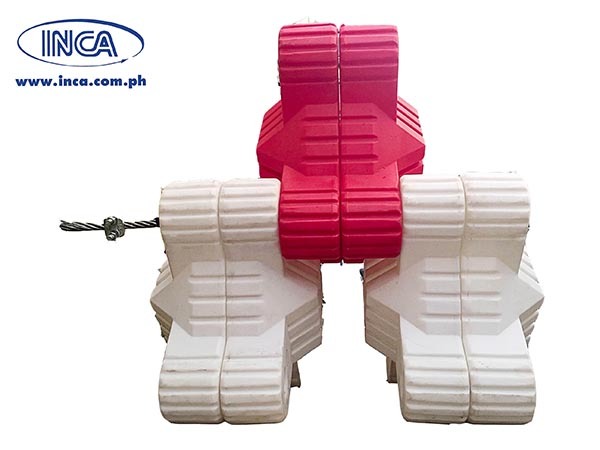 At site, the sea barriers are interconnected by cladded marine cables or PP ropes with a tensile strength of at least 8 tons, can be filled with water or sand to control buoyancy, are modular and maintenance free. 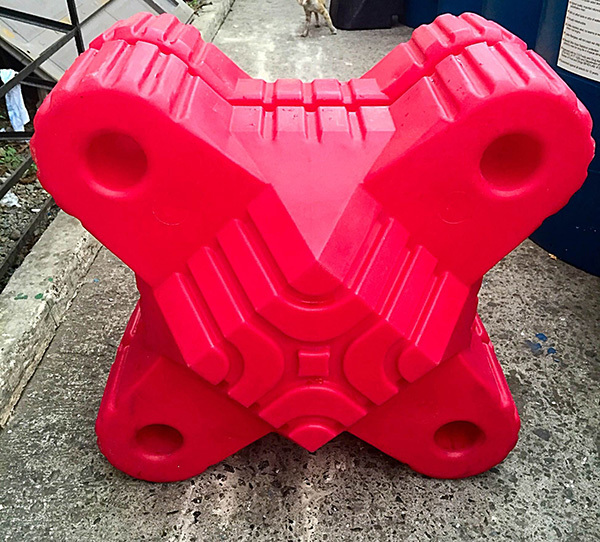 Installation can be applied to various water depths, shallow or deep while mooring systems to anchor the sea barriers are designed at site and installation strictly supervised by experienced Inca mooring Engineers and professional divers.